Many parents facing divorce have concerns about the child support issue. While every parent wants the children to have adequate support, no one wants to be taken advantage of in this phase of the proceedings. At Marrero, Chamizo, Marcer Law LP, we understand your concerns and we are here to help. Serving clients in the Miami-Dade area and throughout Broward County and the Florida Keys, we offer bilingual service in a range of divorce issues, including child support and related matters. Our lawyers will help you reach a child support agreement that will be equitable for you and balanced. 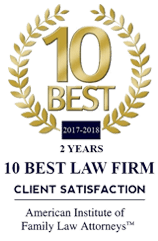 Whether through mediation, divorce settlement negotiation or litigation, our attorneys have the experience to protect your rights and make sure your kids have the financial support they need to thrive. Whether you are a man or woman, the paying parent or the one to receive support for the children, you need to protect your rights. At Marrero, Chamizo, Marcer Law LP, our attorneys can represent your interests and get you the results you need. We have a thorough understanding of Florida’s Child Support Guidelines. We will use these guidelines as a starting point to determine what to expect in your case. Our lawyers will explore your case and if there is good cause, we will petition the court for a deviation from the guidelines to get a child support order that will be best for you. Call 305-446-9466 or email us today to schedule a consultation with one of our child support lawyers to discuss your case in more detail.